I saw this adorable project idea a while back on A Beautiful Mess, and I really wanted to try it. 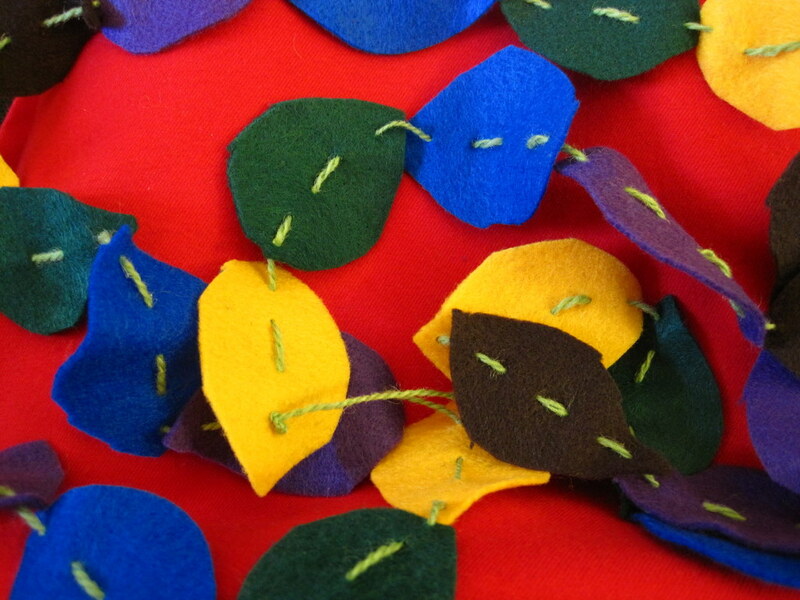 I love fall, and bright colors, so why not make a felt leaf garland to celebrate the season? Since there aren’t too many fall leaves around here, it seemed all the more reason to make my own! 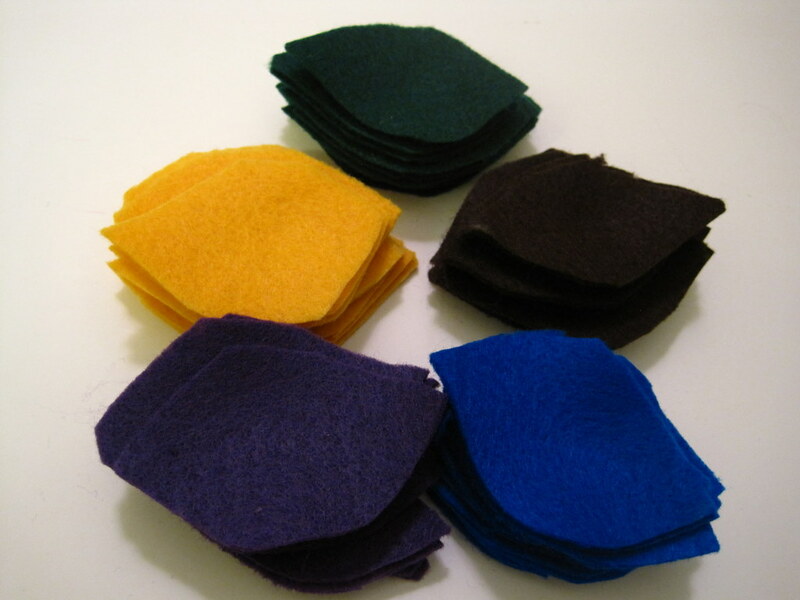 I found some pretty felt squares on sale for a quarter each at my fabric store, and I grabbed them all! Okay, all of the colors, I mean. 🙂 And then I laid out my little supplies. I wanted to use this scratchy wool carpet yarn (since it has limited knitting function! 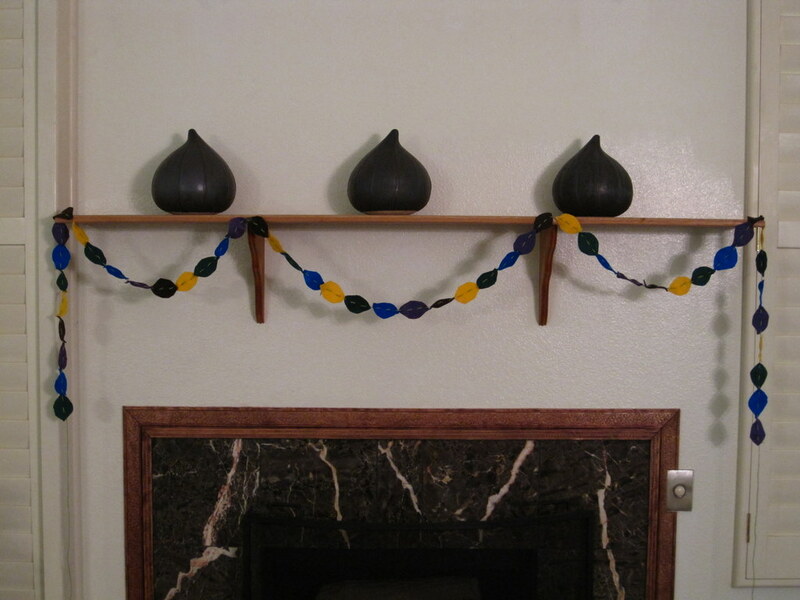 ), and I knew I wanted to hang my garland on our mantel. I did a little measuring and got to work! My felt squares were 12×12, so I made little chalk marks as a guide, so I’d cut the leaves fairly evenly across three layers (I folded the squares over). Here are my pretty little leaves! 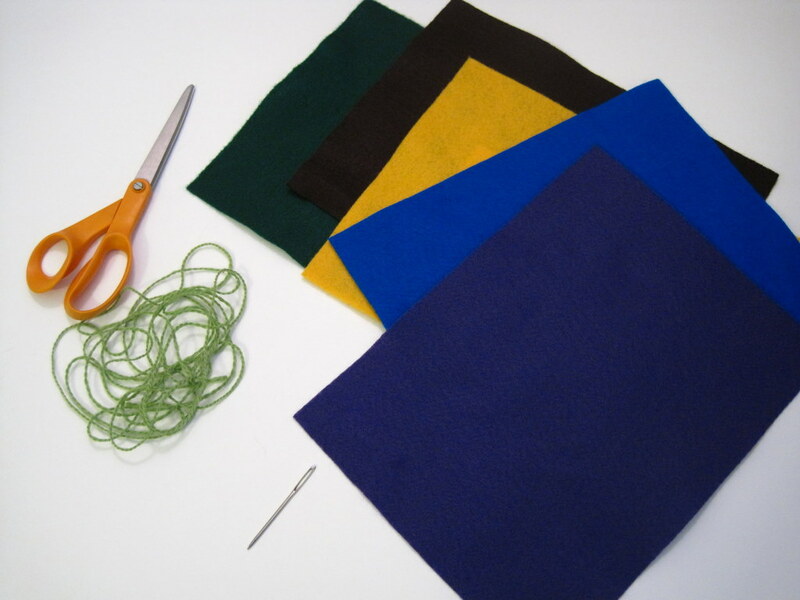 I used a tapestry needle to stitch them (since I needed a large eye to accommodate the yarn), and I cut the yarn into several pieces, since stitching with a long thread is often a recipe for tangles. 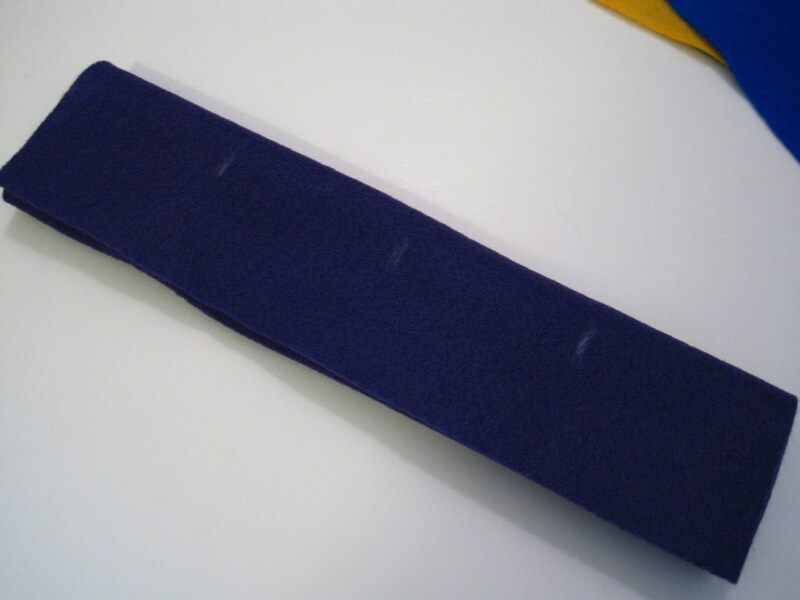 When I was finished, I just knotted the ends together. Voila! I hung my garland on our mantle, and now our living room looks a little more cheerful. I think I’ll make a new one next month for Christmas, since I like the look so much. Happy fall! May have to steal this idea and adapt it for a mobile….